The morning auction will commence at 10am sharp in the Harbour Hotel, New Dock Road, Galway, with registration commencing at 9am. The afternoon session will commence at 2pm with registration from 1pm. Colm O’Donnellan commented: “This auction is offering an excellent selection of property for both investors and home owners with commercial and residential properties listed for sale along the Atlantic seaboard.” Galway city especially has attracted a lot of local, national, and international interest along with enquiries for well-priced properties in main towns in Connacht. Three bedroom semidetached residence extending to c1,076sq ft. The property was constructed in 2005 and is within walking distance of Letterkenny town centre. AMV €50,000. Two bed apartment located along the Main Street in Ballinrobe. Accommodation includes living room, kitchen, two bedrooms, and bathroom, totalling c762sq ft. AMV €30,000. Ground floor commercial unit currently trading as the National Schoolwear Centre. Being sold with tenant in place with a 25 year lease from 2006. Currently generating a rental income of €16,000 per annum. AMV €75,000. Spacious five bedroom bungalow extending to 2,600sq ft and standing on a 0.5 acre site. This property is located approximately 1km from Corofin village. Accommodation comprises entrance hall, living room, kitchen, dining room, five bedrooms with two en suites, and a main bathroom. Ideal owner occupier residence. AMV €165,000. Two bedroom cottage of approximately 491sq ft with small shed/utility to the rear. Within close proximity of Listowel town. AMV €35,000. Three bed semidetached located just off the Westport road constructed in 1999. Ideal owner occupier residence. AMV €80,000. Three bed mid-terrace residence situated in the rural village of Rooskey. Located approximately 20km from Longford village. Ideal owner occupier residence. AMV €50,000. Ground floor office unit being sold with tenant in place. Currently generating circa €15,000 per annum. Tenants in occupation for seven years and are on a month by month rolling lease. The property includes three underground car parking spaces. AMV €75,000. Four bed detached house with two bed annex to the side. Located in a rural setting close to Roundstone village. This property would make an ideal holiday residence . AMV €130,000. This property is a mix of commercial retail with residential units overhead. The property requires upgrading throughout. AMV €110,000. Three bed detached bungalow extending to 1,428sq ft, standing on circa 0.5 acre site, located off the N5 Westport road. AMV €50,000. Ground floor end of terrace retail warehouse currently generating a rental income of €18,000 per annum. Located on the N5 Dublin road close to Castlebar town. The current tenants are on a four year lease from October 2011. AMV €110,000. Four bedroom semidetached with off street parking. This property is ideally located within a five minute walk of the town centre and is earning €470 per month in rental income. Tenants have been in occupation for over three years and have a signed lease in place for 12 months from August 2015 with an option to renew for a further 12 months. Ideal investment property and is being sold with tenants in place. AMV €57,000. Investment property comprising a takeaway with two apartments overhead. 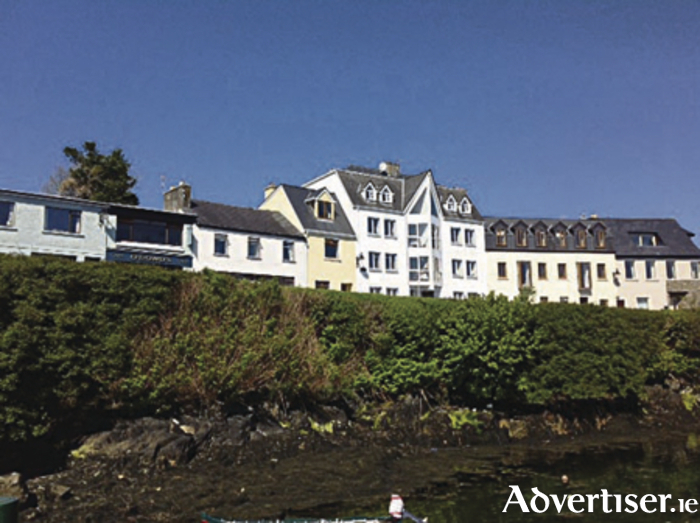 Generating an overall rental income of €21,000 per annum. Being sold with tenants in place (takeaway and one apartment currently occupied ). Takeaway paying €1,200 pm. Two bedroom apartment paying €550 per month. One bed apartment currently vacant. AMV €180,000. Detached bungalow sitting on approximately 0.65 acre site with spacious gardens to front and rear. The property has four bedrooms, master of which is en suite. Attic converted to storage area. Spacious property in need of slight modernisation. AMV €75,000. Traditional bungalow standing on a 0.5 acre site. This property will require upgrading and modernisation throughout. Located approximately half a mile off the main Galway/Clifden road, close to Killannin GAA and church. This property would provide an ideal family home and is located halfway between the villages of Moycullen and Oughterard. AMV €125,000. Comprising approximately 15 acres. The lands are divided into four individual parcels; three of the parcels are located next to each other and the fourth is a separate parcel. Folio OY27952F. AMV €75,000. Modern three bed semidetached residence in good condition located within walking distance of Ballinrobe town. Accommodation comprises entrance hall, kitchen/dining room, living room, three bedrooms (one en suite ), and main bathroom. Ideal owner occupier residence. AMV €85,000. Five bed detached residence located in a rural village approximately 10km from Ennis town. The property, which is situated to the rear of the Laghtagoona estate, requires modernisation. Ideal family home. AMV €108,000. Traditional style bungalow located close to Bullaun village just off the L3201. The property has been partially renovated but further completion works are required. The property stands on approximately 0.5 acre. AMV €60,000. Ground floor retail unit formerly used as a doctor's surgery with a flat concrete roofed extension to the rear. Ideal investment opportunity . AMV €75,000. Partly constructed residence located seven miles from Westport town. Situated just off the main Westport to Leenane road. Folio No. MY6972F. Planning Ref PO3/3479 and P10/885. AMV €25,000. Ground floor commercial unit located in the centre of Tuam town. Suitable for a variety of uses. AMV €40,000. Two bed apartment located within a development of 24 apartments. Within close proximity of Kilkee Beach, Cliffs of Moher, and Burren. Ideal first time buyer's residence. AMV €60,000. Two commercial units located in the heart of Ballinrobe town. One unit is part occupied and the second unit is vacant. Currently generating an annual rent of €7,200. The tenant is in place for past three years and has a five year signed lease. AMV €150,000. Ground floor commercial unit with apartment overhead. Unit occupied by Cha Cha Barbers. Currently generating a rental income of €3,640 per annum. The retail unit on the ground floor measures approximately 30sq m and the apartment overhead measures approximately 84.97sq m. AMV €45,000. Two storey end of terrace unit. The property comprises a commercial unit occupied by the HSE and three individual apartments. There is an extension to the rear of the property with an open plan courtyard separating the main building from the extended area. All of the units are currently occupied and are being sold with the tenants in place. The residential apartments are generating a rental income of €11,700 per annum and the unit is generating €833 per month, giving a total of €21,600 per annum. AMV €75,000. Modern two bed second floor apartment in town centre. Management fees €750 per annum. Excellent starter home or investment property. AMV €60,000. The second of two modern two bed apartments located in Tuam town centre. Excellent starter home or investment property. AMV €60,000. Centrally located townhouse currently used as an Irish language office and classroom/workshop. Currently generating a rental income of €7,620 per annum. Superb investment opportunity. AMV €75,000. Site located at Forramoyle West approximately 1.6km from the Twelve Hotel. Contains no planning. Folio No GY84567F. AMV €10,000. Former pub with overhead accommodation and floor space of approximately 8,500sq ft. This property is ideally located, being within walking distance of the town centre. Gilt edged investment opportunity. AMV €40,000. Mid-terrace office unit being sold with tenant in place located in the heart of Liosban one mile from Galway city centre. AMV €135,000. Located on the outskirts of Ballaghaderreen town on the Old Dublin Road. The property comprises an enclosed yard and contains frontage onto a main road with a high volume of passing traffic. The yard is suitable for a number of uses and was previously used as a car sales yard. Folio No RN30997F/RN27265. AMV €40,000. Block of six apartments comprising three two-beds and three three-beds, being sold as one lot. All apartments are currently let providing a rental yield of €59,000 per annum. Superb investment opportunity. AMV €640,000. Dalton Drive has long been one of the most popular locations in Salthill, renowned for large gardens and spacious accommodation. No 6 Dalton Drive is no exception and offers a discerning purchaser space in abundance both inside and out. Located within walking distance of Salthill, many schools and all local amenities. AMV €475,000. Located in the very heart of Galway city, No 31 Nuns Island is a rare gem, a little piece of old Galway that offers an eagle eyed purchaser an opportunity to purchase a unique two bed town house on the edge of the canal on a strip where properties such as this rarely come to the market. In need of refurbishment, it retains many original features and enjoys a west facing yard and seating area whose nearest neighbour is the canal. Wonderful starter home or great investment property. AMV €185,000. Fabulous four bed family home presented in superb condition and meticulously maintained both inside and out. The property has benefited from many improvements and has been fully dry lined internally and insulated throughout. Only minutes from the Prom, Leisureland, and all notable schools in the area, this property is the ultimate family home. AMV €400,000. Ground floor two bed apartment just strolling distance from Eyre Square and convenient to shops, bars, restaurants, and all amenities that city centre living has to offer. This property would prove to be an excellent owner occupier residence or a gilt edged investment property with guaranteed return on investment due to its convenient location. AMV €150,000. Located in the much sought after and well established residential area of Oaklands, No 22 is a superb family home with an equally superb large southwest facing rear garden. Comprising four bedrooms and very generous living accommodation on the ground floor, this is one of the nicest homes to come to the market for quite some time. AMV €485,000. Large family home located in a wonderful setting with stunning views over Lough Corrib and the surrounding countryside. Extending to approximately 5,700sq ft, this beautiful home has an abundance of well-proportioned living space with a large garage complete with a first floor flat. Extensive gardens include a large central courtyard patio area and a tennis court. Set discreetly off the Oranswell road, with Galway city centre just 15 minutes' drive away. AMV €340,000. Impressive four bed detached property located in the heart of Galway city. The property is presented in exceptional condition and has been totally refurbished, making it one of the most attractive homes in this locality. Enjoying a good sized manicured garden to the rear and off street parking to the front. Within walking distance of Eyre Square and all amenities in the city and will make a superb family home or a wonderful investment property. AMV €395,000. Wonderful four bed property located in the very popular and most desirable area of Roscam. Comprising generous living and sleeping accommodation with a good sized rear garden. This lovely property is an ideal family home or a great investment property. Presented in very good condition and ready to walk into, on a direct bus route to the city and boasts many extras. AMV €240,000. No 1 Rivendell is the ultimate four bed family home located on a large corner site in this ever popular location just off Taylor's Hill. Tastefully extended to the rear (over two floors ) in 2000, it is presented in excellent condition and enjoys a maintenance free southwest facing rear garden, overlooks large green spaces to the front and side, and is within walking distance of many schools in the area. This is one of the finest family homes to come to the market for some time. AMV €420,000. Third floor two bed apartment offering truly breathtaking views of Roundstone Harbour and the surrounding countryside. In first class decorative order and comes with private parking. Roundstone has increasingly become a peaceful retreat and holiday home for many escaping city life. This small, well serviced, village is approximately 80km from Galway city centre via the N59 and within easy access of Ballyconneely Golf Course, numerous beautiful beaches, and Clifden town, only 20km away. AMV €130,000. This superb spacious end of terrace three bed family home is located in the popular and well established area of Mountpleasant in Loughrea. Incorporating many extra features and a large south facing rear garden, the design of this particular property differs from most other properties in the development. AMV €125,000. Mid-terrace three bed residence in a popular area of Old Mervue, located approximately three miles from Galway city centre. Within walking distance of schools, shops, bus routes, and all major facilities. Close to Tuam Road business parks, Bon Secours private hospital, and GMIT. Great family home in a great location retaining many original features. AMV €165,000. This is a wonderful two bed ground floor apartment located on the west end of the block, with access to the front patio through the large double doors from the living room. It enjoys stunning viewing of the golf course, Galway Bay, and the Clare hills, is presented in excellent condition and ready to walk into. The property is being offered as is with superior quality furniture and fittings together with top class appliances. AMV €320,000. Three bed semidetached maisonette (sleeps four ), located opposite GMIT and purpose built to accommodate students and summer holiday lettings. Fully managed with year round rental income. Amenities include 24 hour security, shops, a restaurant, and on site launderette. Only two miles from Galway city centre, on main route into city. Property investments do not get any better. AMV €95,000. Reduced reserve. Modern end of terrace three bed home in lovely condition, located just off the N17 in the scenic village of Milltown. Millbrook is a mixture of detached, semi, and terraced homes with some retail units. Nicely maintained, this residence comprises hall, living room, kitchen/dining, three bedrooms, and main bathroom. Would make a lovely starter home or ideal for those who want to downsize. AMV €68,000. Industrial unit located at Knock Airport Business Park, adjacent to Knock Airport, circa one mile from the N17 and circa three miles from the N5 at Charlestown. End of terrace two storey industrial unit and has a net floor area of approximately 511sq m. Constructed circa 2005 of steel frame construction with concrete block with a plaster and aluminium finish to the exterior and aluminium roof. Windows and doors are uPVC double glazed and heating is electric storage throughout. AMV €75,000. Comprising a derelict cottage style house on approximately 0.32 hectare (0.80 acre ) of land, just off the R336 main Spiddal to Galway road. Comprises two living rooms, two bedrooms, and a garage/outbuilding just a stone’s throw from the very scenic Spiddal Beach and promenade, with local amenities including shops, bars, restaurants, and all that Spiddal village has to offer including shore and harbour fishing. Folio GY21686. AMV €150,000. Land of approximately 2.4635 hectares (6.09 acres ) at Spiddal West bordering the R336 main Spiddal to Galway road with frontage onto the very pretty Spiddal Beach and promenade overlooking Galway Bay and onto north Clare. Located approximately 12 miles west of Galway, Spiddal is the gateway to the Connemara region. Folio GY20512F. AMV €120,000. Further details are available from Colm O’Donnellan, Anne Harding, Mary Fahy, and the auction team at [email protected] . Full auction catalogue can be viewed online on www.myhome.ie , www.daft.ie, and www.odonnjoyce.ie/auction or contact 091 564 212.